I love my iPhone 5s(s aapl), but it has a couple of irksome qualities. For instance: I can usually make it through the day on a single charge, but I know what it feels like to seek out the occasional emergency outlet. And deciding what music to store is always a tricky process, since 32GB is hardly enough to accommodate all of my apps, photos, videos and the entire Magnetic Fields back catalog. So if there were two things about my beloved smartphone I’d improve, they would be battery life and storage space. 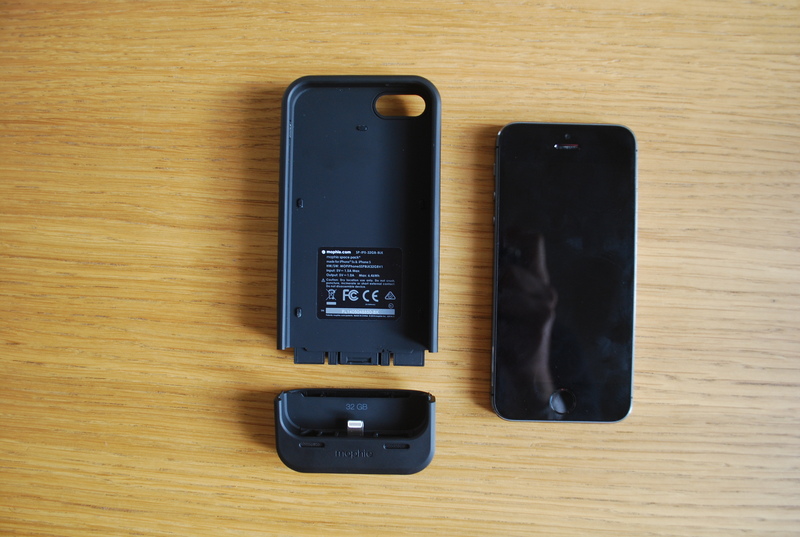 Luckily, the Mophie Space Pack addresses both of those issues in one simple design. It’s the most useful iPhone case I’ve ever tested. You’d be hard pressed to tell the difference between the Space Pack and its predecessor, the Juice Pack Air. That’s because the new Space Pack measures just 3 millimeters longer than the Air. And it weighs 2.8 ounces compared to the Juice Pack’s 2.68. Overall, the case measures 5.66 by 2.57 by 0.63 inches. It adds noticeable bulk and weight to the iPhone’s trim design, but so do all of the battery cases I’ve seen. The case itself is made of rubberized plastic. I reviewed the black model, but there’s a white version as well. There’s a cutout on the back for your camera and flash, and plastic button overlays on the sides for your Power and Volume buttons, as well as your Ring/Silent switch. 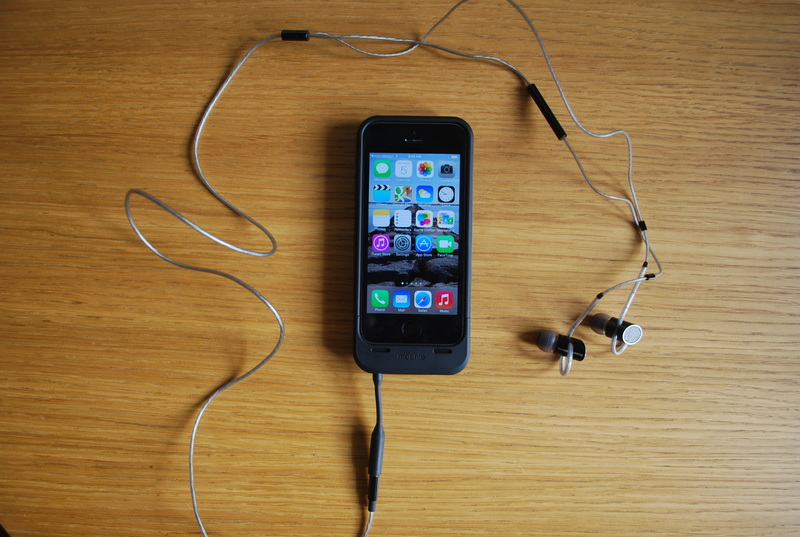 There are speaker ports on the bottom, which don’t affect volume, but Mophie provides a 3.5 millimeter headphone extender jack, since the port is too recessed to accommodate many standard pairs. Note: My Bowers & Wilkins C5 headphones were able to fit in without the use of an extender, so your headphones may fit as well. The case is comprised of two parts. The bottom portion is home to a Lightning connector on the inside and a micro USB port on the outside. On the back you’ll find four battery indicator LEDs, a silver button that triggers the lights, and a standby switch for controlling the flow of battery power. 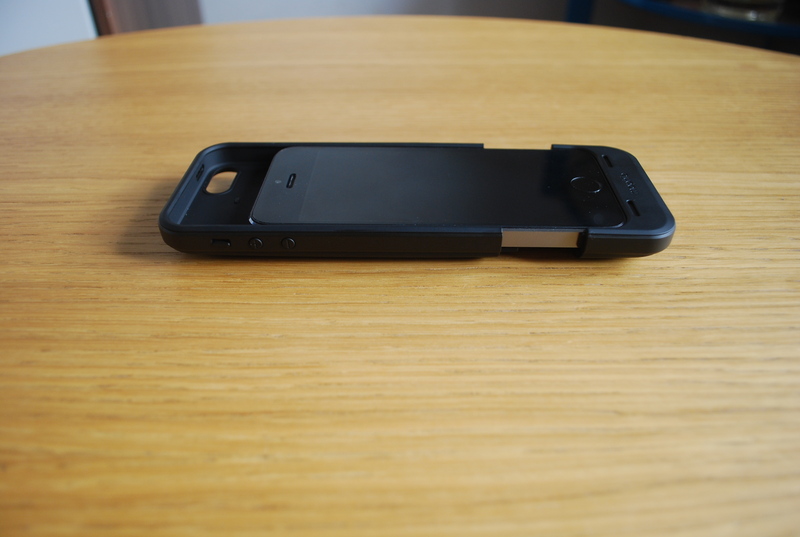 All you have to do is slide your iPhone 5 or 5S into the top part of the case and the bottom snaps on securely. The case uses a 1700mAh battery, which is the same size cell as the battery in the original Juice Pack Air. Mophie says the battery should provide up to 8 additional hours of talk time, 10 hours of video playback or 40 hours of music playback. That effectively doubles the battery life of your iPhone. The battery pack worked as expected, so no complaints there. So far, the Space Pack is virtually identical to the Juice Pack Air. What makes it so different? Storage. This is the first battery case to feature built-in local storage for the iPhone, allowing you to add an additional 16 or 32GB of capacity. 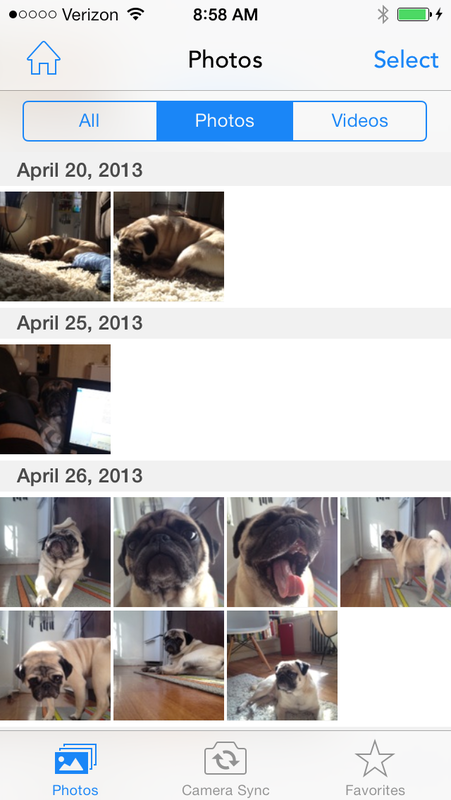 I tested the 32GB model, which comes with nearly its entire capacity available in free space. Unfortunately, the Space Pack doesn’t seamlessly add all that extra space to your iPhone’s internal storage. Instead, you need to download Mophie’s free Space app from the Apple App Store, which provides you with access to files and documents stored on the case. To place files onto the case, it’s as simple as connecting it to your computer via microUSB cable, then dragging and dropping files onto it as you would with any other standard drive. And you don’t need to organize the files in any typical fashion, either. The Space Pack will scan its contents and automatically place everything in its right place. 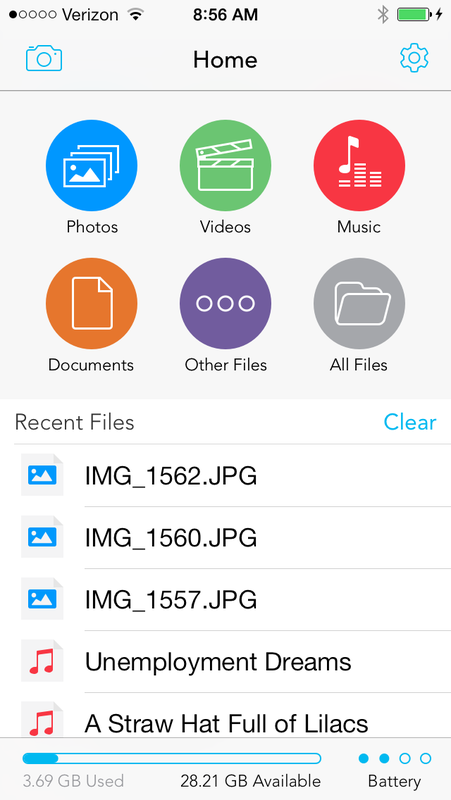 Categories include Photos, Videos, Music, Documents, All Files and Other Files. Any files placed on the Space Pack can only be accessed through the Space app. For instance, you won’t be able to play any music files on the case through the standard iOS Music app. 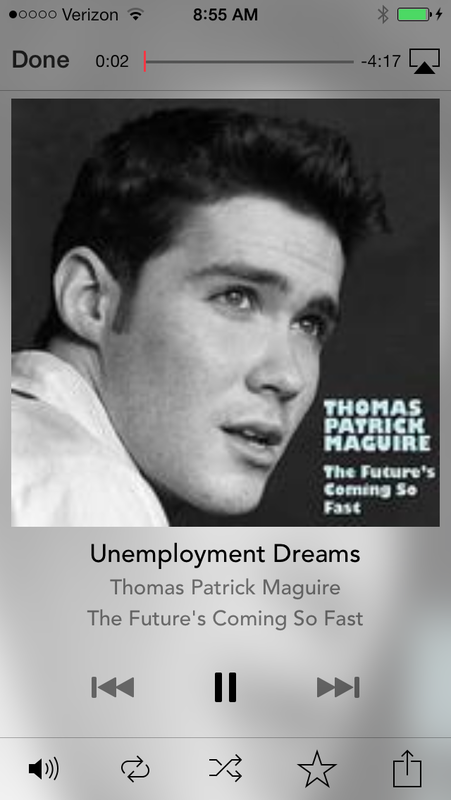 But the Space app provides a relatively decent approximation of the experience you’ll find on native apps, though the Music app, for instance, lacks any distinction outside of Artists, Albums and Songs. You can set your iPhone’s camera to automatically sync with the Space Pack, so whenever you take a picture, it’ll show up on the case’s internal storage. You can also shoot photos directly to the case itself, though you can’t edit them – you’ll have to transfer them to your phone’s internal storage in order to do that. On the other hand, the case basically functions as a standalone flash drive. You can transfer and access files on the Space Pack without connecting your iPhone, and you can use the case for multiple devices, making it easy to share files. You can also protect it with a password, in case you don’t want to share files with anyone else. I noticed that the bottom of the Space Pack has a tendency to get warm with heavy use – not distressingly so, but definitely noticeable to the touch. It can also be a bit slow to access files. There’s a large pause between syncing data to the Space Pack and the case sorting everything out. I also encountered delays when attempting to open some music and photo files. Limitations like these can be a bit of an inconvenience, especially if your primary interest for the Space Pack is to store and edit photos and video. But I see it as more of an overall solution – a place to put big video files before a long trip, or to store those extra albums that won’t make it to your iPhone’s internal storage. 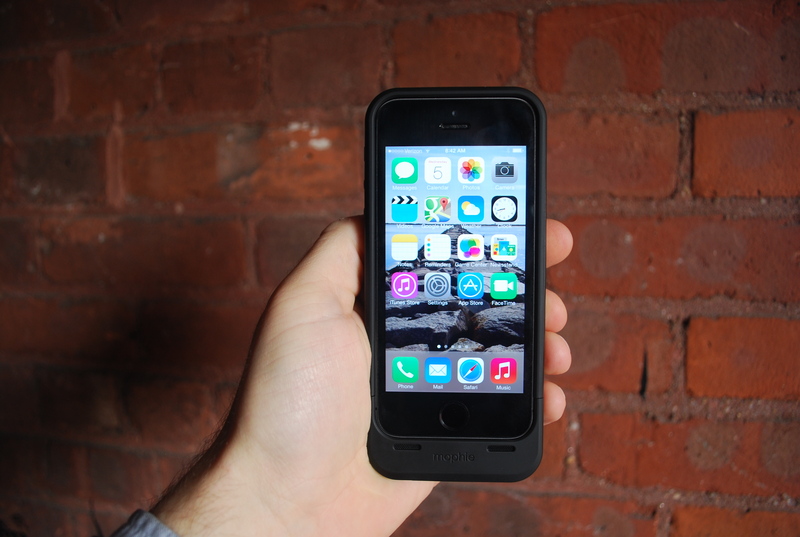 The Mophie Space Pack will ship at some point in March, but you can pre-order it now. The case comes in either black or white, and in 16 or 32GB capacities. The 16GB model costs $149.95, while the 32GB case costs $179.95. That sounds expensive, especially when you can get a plain old plastic case at a mall kiosk for about $10. But when you think about it, it’s actually a pretty good deal for what you’re getting. Mophie’s Juice Pack Air, which contains the same 1,700mAh battery, costs $99.95. That means you’re getting the additional 16GB of storage for $49.95, or 32GB for $79.95. Both of those options are less expensive than it would cost to buy a higher-capacity iPhone from the get-go, since there’s a $100 price increase from the 16 to the 32GB models, and another $100 between the 32 and 64GB models. So while the Mophie Space Pack might not be the cheapest iPhone accessory, or the sleekest, I’d have to say it ranks among the most useful out there. If you’re looking to increase either your iPhone’s storage or battery life, it’s well worth considering. And if you’re looking to increase both, it’s the only case that can do the job. I guess this article was written by Mophie. Carrying duplicate cables in case I take the phone out of the case is not my idea of “convenient”. At least they finally fixed the issue of being able to sync the thing through that micro-USB port. That’s not possible with the previous version and a user was required to carry both cables, regardless of whether they were going to take it out of the case or not. The true reason they have a micro-USB port is Apple won’t license the female Lightning port to anyone. That’s too bad, but I don’t dispute their reasoning either. Even so, my i5 is currently in a Mophie Air case. While traveling, there’s no way to be sure how long a charge will last. It’s been indispensable when I’ve needed it. This is the email they sent this morning. Looks like you didn’t have to wait too long — it’s live in the App Store now. Mine officially arrived by mail Tuesday morning. I preordered it in January. Too bad I’ve had mine for 3 days and Mophie doesn’t have the app ready. After calling tech support I received an email saying it would be on the App Store soon. The battery pack is ok but it seems to not hold a charge as well as my juice pack even though it has the same battery.? I don’t think the app is scheduled to go live until the case is officially available. So which one is it? a pass-through-sync or mass storage device? Both. I was able to sync my iPhone and use the Space Pack as a mass storage device. When that storage space gets music and photos in it, it does take some time to access apps that use that storage, and it does not matter which manufacturer’s phone is being used. I would like to see someone address this problem when they go forward with phone designs. 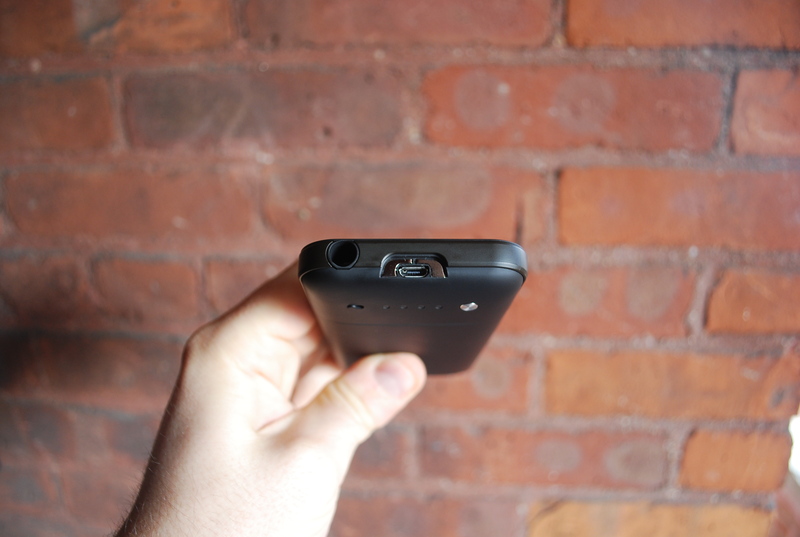 And my Android phone has removable battery and a removable 32GB micro-SD card in it now. 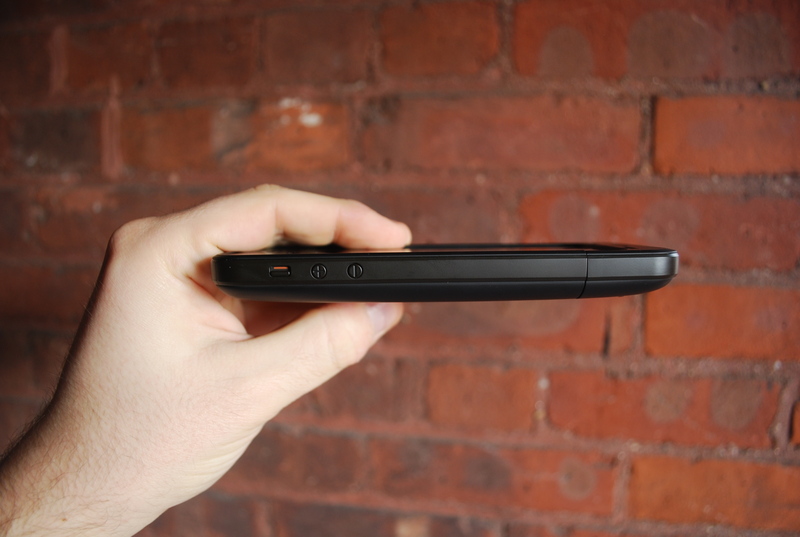 I’m glad my smartphone has a removable battery AND a microSD card slot.